Our mats can be provided on a 'supply only' basis, or part of a service rental contract. Our range features a higher quality construction with various features designed to improve performance. Unlike lesser quality mats, the backing on our mats is rubber, not PVC. The backing has been made slightly thicker to help the mats lie flat. 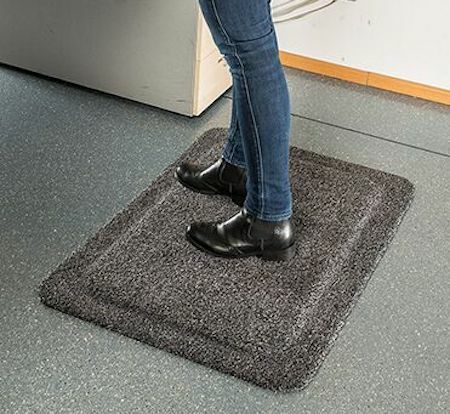 The edges of the mat have a tapered edge to help prevent tripping and the underside of the mat has an anti-creep design which helps to secure the mat on carpeted surfaces. Preventing dirt from being tracked into the building. Creating a fantastic image for your brand with custom logo mats. Whatever the need, we are your perfect partner for mats! Professional dust control mat. Excellent functionality, the best way to stop dirt and moisture being tracked into your building. Anti-slip, anti-trip and they look great! Enhance your company premises with the Logo Mat and do more than just improve cleanliness. The mat performs two functions simultaneously; it is both a dust control mat and an eye-catcher. 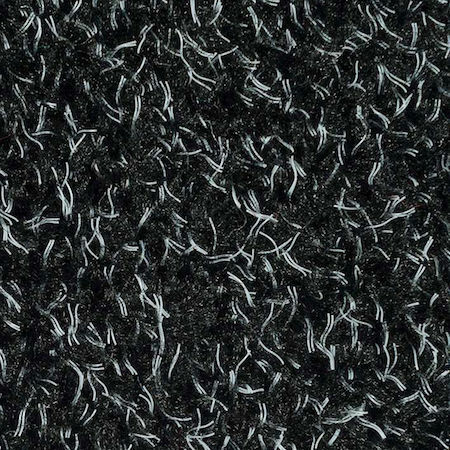 Our Rubber Scraper Mats make a great exterior entrance mat. Indoors they prevent slips and provide some anti-fatigue properties in wet areas, kitchens, or in production areas. 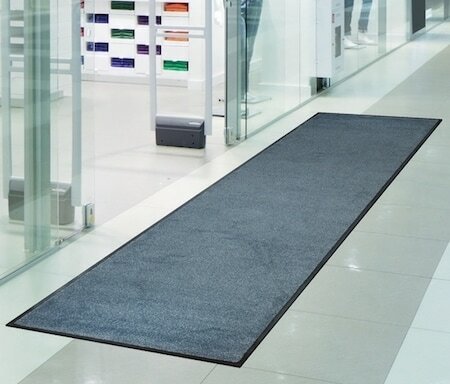 The Scraper Mat is excellent at absorbing dirt and it's mix of tufted and heavy duty fibres provides a scraping action, perfect for very stressed high foot traffic areas in commercial and industrial environments. 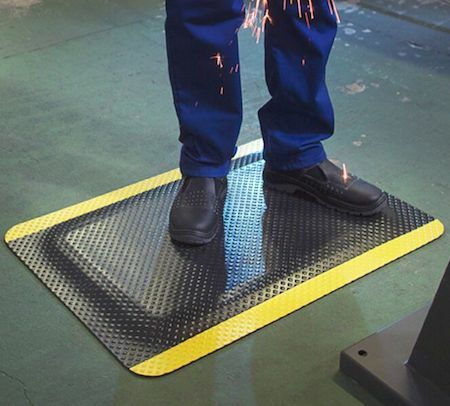 Anti-fatigue safety mats designed with optional bright yellow borders to draw the eyes attention and increase awareness of danger in the workplace. High quality materials and excellent design make for an superb product. 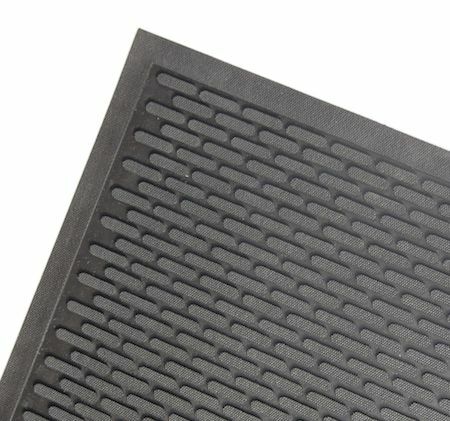 The same excellent protection as our rubber mats with the added advantage of a tufted surface. This provides extra comfort under foot and is better suited to office environments.